Winter is a time for the trees to reveal their structure and inner rhythm. It's a good time to catch up with Ivy Jacobsen’s latest work. These fantasy landscapes help us to celebrate the season. 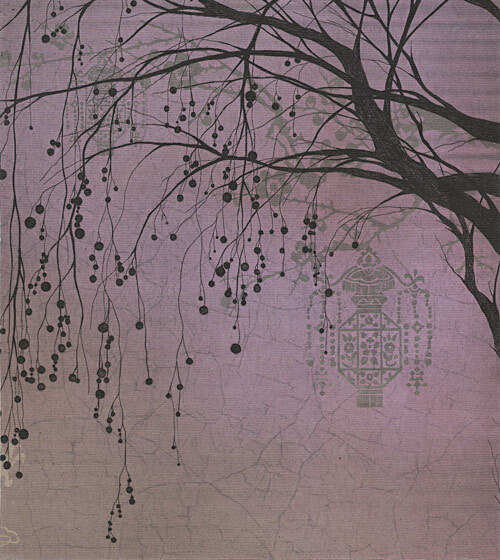 We especially like Violet Sky, an etching with a hint of Asian influence and lyrical line and dot motifs. 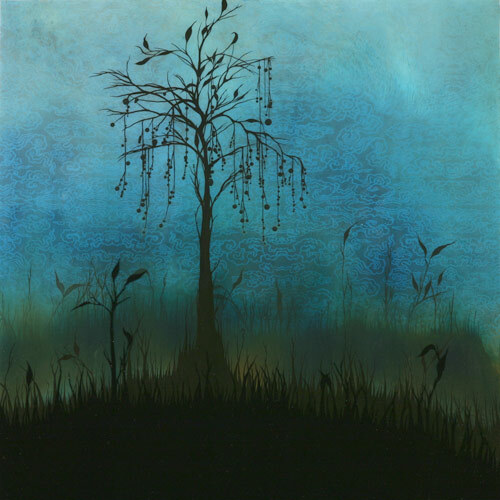 Birds of Sonoma County is a series of acrylic on wood paintings by Pam Lewis. Pam currently resides on a small rural ranch and vineyard west of Windsor, in the lush and vibrant ecosystem of the Russian River Valley in Sonoma County, California. 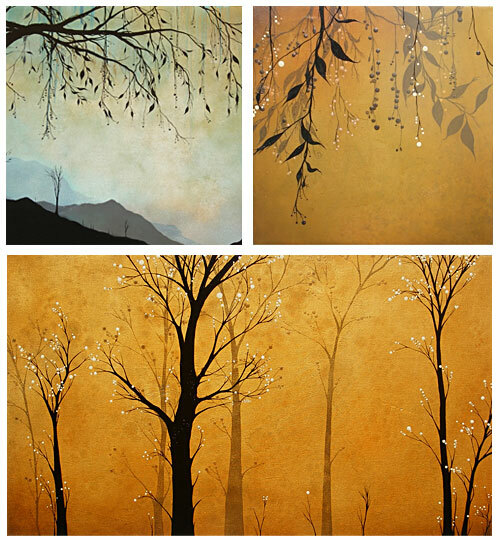 Pam’s paintings, prints and cards are available at Graton Gallery, located in Graton, California. 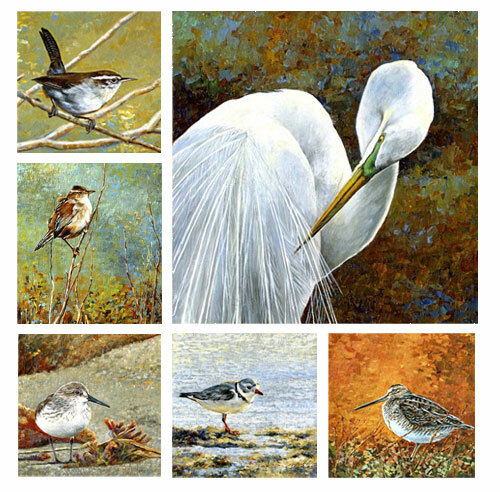 Birds of Sonoma County are also available in boxed card sets. Please visit Pam Lewis’s Web site to see more. When Snow Falls is a collection of photographs by Alicia Bock. 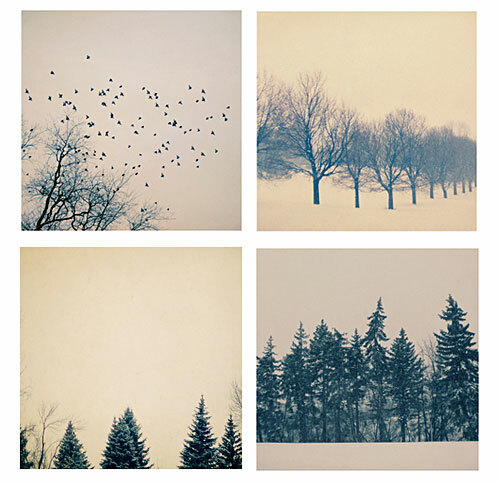 These wintry scenes reveal the bare bones of nature and the simplistic grandeur of a quiet winter's day. You can almost hear the snow falling.The original fine art photograph are availble to purchase at Alicia's online store. Happy New Year! We have been hibernating in the past six weeks. We hope you have had a magical and rejuvenating holiday season. HaveMuse is one years old. We want to take the opportunity to thank all of you who have been supporting us, artisans who contribute and share their creative works, and visitors to the site. We are very grateful to have developed this virtual creative place for all of us to share and be inspired. We hope to bring you more in 2009.